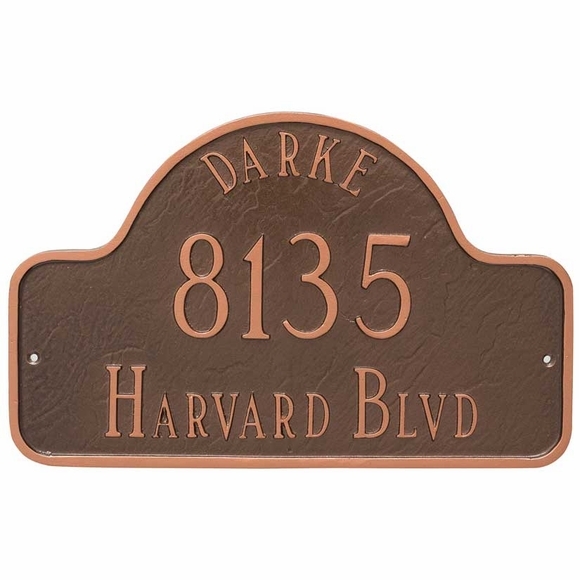 Estate Size Arch Address Plaque with Name - - personalized three-line address sign with your name following shape of the arch top. Wall mount. Made in USA. Wall mount. 24"W x 15"H.
Line 2 (street number) holds up to five (5) 4" numbers. Line 3 (street name) holds up to seventeen (17) 2" characters. Also available in two smaller sizes and for lawn placement (see Related Products).